Miche Handbags Are Out - Magnolia and Vine VERSA Handbags Are IN! Home » Miche Handbags Are Out – Magnolia and Vine VERSA Handbags Are IN! When Miche Handbags closed its doors in April, 2016, that left a huge void in the fashion industry. At that time, Magnolia and Vine purchased the rights to all Miche products with the intent to bring interchangeable handbags back. At Magnolia and Vine’s conference 2017 conference, the company announced the release of the all new Magnolia and Vine VERSA Collection! These handbags are actually an upgrade to the Miche Handbags we all came to appreciate. The new VERSA Collection takes versatility to the next level. The new VERSA handbags can be carried with or without an accent piece! Much like Miche handbags, the concept is very similar but that’s where the similarities end. Choose a Base: Currently available in one size and available in black or brown. Choose an Accent piece. This is where things get very interesting. 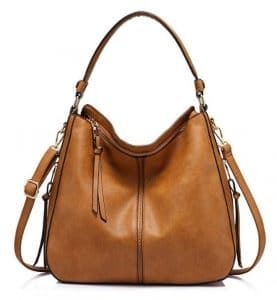 The Accent piece is equivalent to the Miche shell or face but the difference here is, rather than having the wrestle the base inside the shell, the accent piece connects to the outside of the bag. This completely changes the look of the bag and is easier than ever! With 36 Accents available, you are sure to find one that fits your unique look! Choose VERSA Accessories. Choose from a selection of chain handles, straps, tassels or accent pieces! If you loved Miche, you owe it to yourself to buy a base, a couple different accents and some VERSA accessories! I assure you the Magnolia and Vine Handbags are a game-changer. No longer struggling to fit a shell around a base but more importantly, no more moving contents from one bag to another just to change the look of the bag to match your outfit! Once you have one in your hands, you’ll see the improved quality and ease of use. If for some reason you are not happy, simply return it for a full refund. You are nothing like Miche! You have a purse that you can add things to to change its appearance. That is not what Miche was about! How disappointing! When Miche started, they had one size base and a few wrap around shells that just changed the look which was really their goal. Likewise Magnolia and Vine is starting with one size and will expand from there. 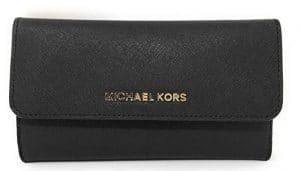 Miche is no more and like all other fashion products, they must continue to stay relevant. With the accent pieces it does completely change the look of the bag. I’m looking forward to new designs and sizes as they are released.